Physical health and mental health are inextricably linked. 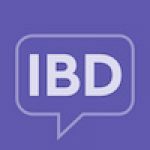 People living with chronic conditions, like IBD, not only have to manage their physical symptoms, but also cope with the negative impact their physical health has one on their emotional and mental health and/or vice versa. Does your emotional/mental health negatively impact your physical health?